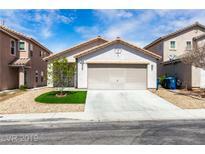 Below you can view all the homes for sale in the Silverado Pines subdivision located in Las Vegas Nevada. 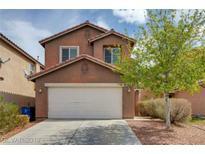 Listings in Silverado Pines are updated daily from data we receive from the Las Vegas multiple listing service. To learn more about any of these homes or to receive custom notifications when a new property is listed for sale in Silverado Pines, give us a call at 702-323-5939. Short drive to shopping and entertainment areas. A Must See!! ! MLS#2084953. Blue Diamond Realty LLC. 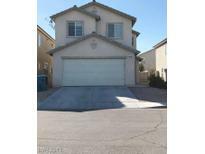 Near Las Vegas Blvd/15 freeway, schools, shopping centers, restaurants and all fun places. MLS#2080722. Wardley Real Estate. Backyard is full concrete with a 20'x10' alumawood patio cover that is attached to the home. MLS#2080135. USRealty.com, LLP. Open floor plan, pergo floors, cherry cabinets, open kitchen and so much more. Great Floor plan! MLS#2080002. Fathom Realty. Be sure to view the virtual tour MLS#2074741. Monticello Realty LLC. This A 3 Bedroom, 2.5 Bathrooms, Upstairs Loft 2 Car Garage.Covered Patio Granite Counter Tops. MLS#2072342. BHHS Nevada Properties. A community park with sports courts and play areas is part of the HOA. MLS#2067190. Opendoor Brokerage LLC. Home is at the end of a cul-de-sac. Great location. MLS#1858907. Realty ONE Group, Inc.